Elegant but Comfortable - Completely Remodeled. Fireplace with new insert, Gorgeous kitchen with Quartz counters new stainless steel appliances, farm house sink, pull out spice racks, custom cabinets, new windows throughout, new A/C unit, new roof, original refurbished hardwood floors, new shutters throughout, plumbing and electrical outlets, switches & lighting updated. Sun room to enjoy the lush back yard has roll up outside sun shades, exterior and interior freshly painted, new arbor. Bathrooms completely remodeled with free standing tub and glass tile. Move in and enjoy! 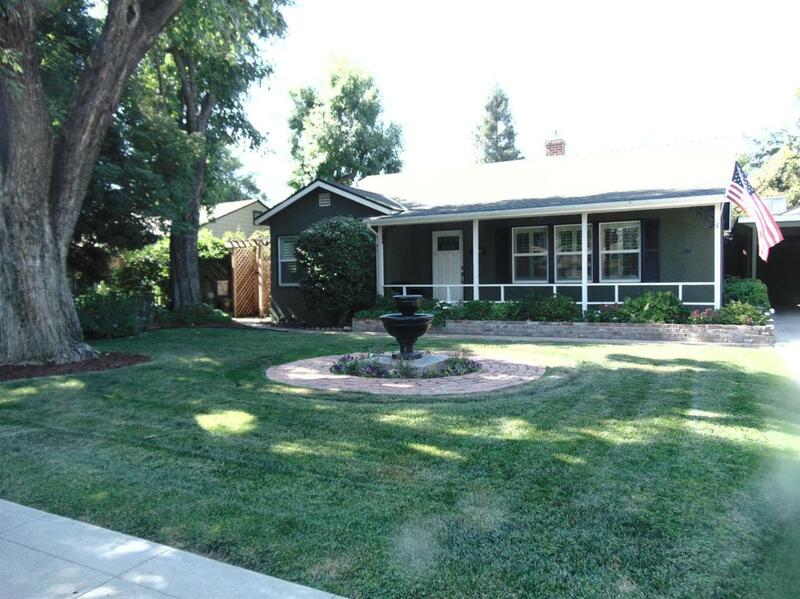 Listing provided courtesy of Sandra Spens of Century 21 Jordan-Link & Co/Tulare.